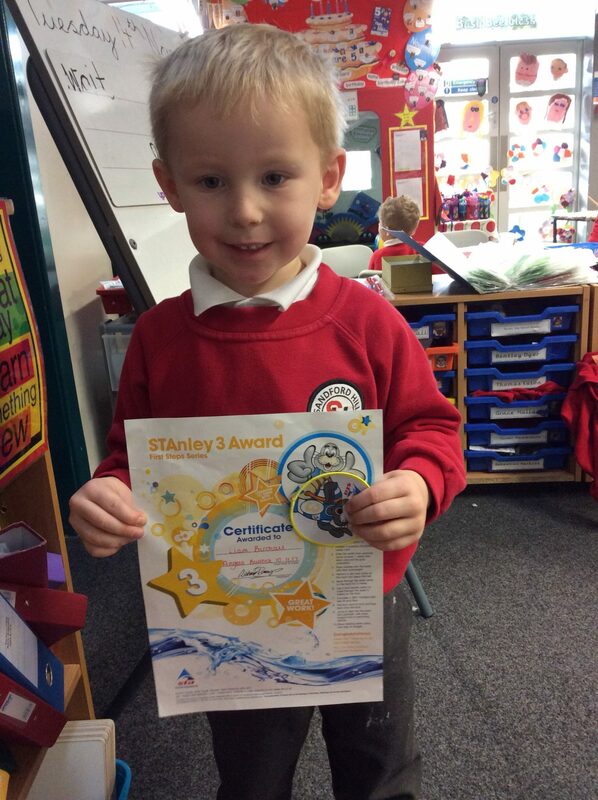 Well done and congratulations to Liam who passed his Stanley 3 swimming award this week! We are very proud of you Liam. What a swimming star! This entry was posted in EYFS and tagged Celebrations, P.E. on November 15, 2017 by Sandford Hill. Well done Liam- we’re all very proud of you!